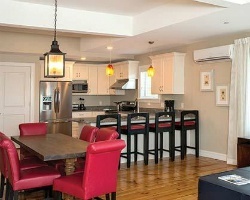 *84 Main* in Kennebunkport offers spacious and eco-friendly one-bedroom, two-bedroom, and three-bedroom suites. 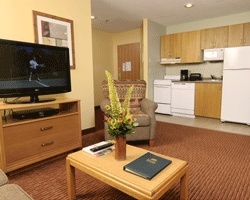 The air-conditioned units include cooking facilities, and an exercise room is available on-site. Nearby activities include fishing, biking, golfing, horseback riding, sailing, skating, swimming, and tennis. Guests can also enjoy the local beach, marina, day spa, restaurants, playground, and live entertainment. Car rentals and grocery stores are nearby. 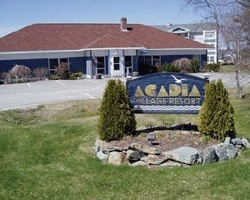 *Acadia Village Resort* is located minutes from Acadia National Park and Bar Harbor. 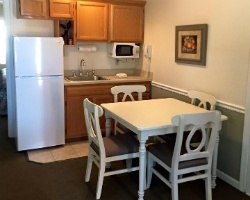 Accommodations include 1, 2, and 3-bedroom units that sleep 4 to 10, each containing kitchens and a whirlpool/hot-tub. On-site amenities include an indoor pool, indoor and outdoor play centers, outdoor tennis courts, and state-of-the-art fitness facilities. 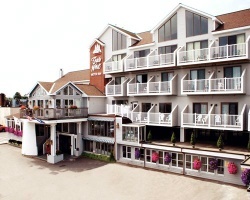 There is a short walk to mini-golf, bowling, restaurants, Maine lobster, and shopping- including an LL Bean outlet. Nearby are quaint coastal villages, antique shops, and many scenic drives, all helping to make this a perfect four-season resort! 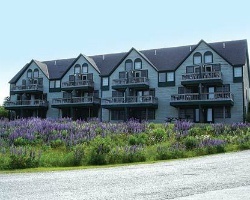 The *Grand Summit Resorts at Sunday River* feature two separate, full-service properties located about five miles apart. Both resorts are loaded with four season amenities such as ski-in/ski-out facilities in winter, plus a games room and outdoor heated pools and whirlpools for use year-round. You can also visit the health club with it's state-of-the-art exercise equipment, a sauna and steam room, and aerobics classes. After a perfect, fun-filled day, enjoy a delicious meal at the resort's restaurant or cafe. For more information, visit www.sundayriver.com. 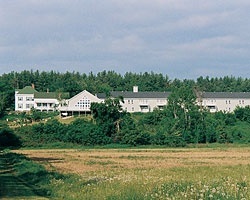 Harbor Ridge Resort is a cozy resort located in Southwest Harbor, Maine. You'll be right next to the best natural features Maine has to offer, including the ocean and Acadia National Park. No matter where you look, you'll see a beautiful scenic view. Harbor Ridge offers many amenities to make your vacation even more fun and relaxing, including a pool, playground, fitness center, and tennis courts. 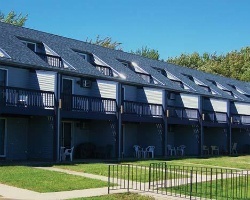 Your rental townhouse will be stocked with everything you need to enjoy your vacation, even a lobster pot for a true taste of Maine. 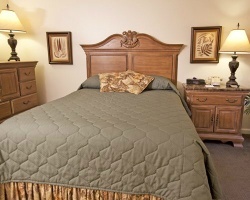 You're certain to enjoy your stay at Harbor Ridge Resort. 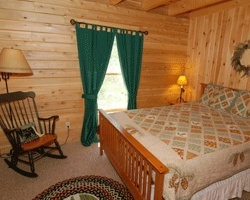 InnSeason Resorts Mountain View offers guests a range of activities and accommodations. There are suites in the main-lodge and individual log-cabin homes, all of which afford spectacular, panoramic mountain-views. 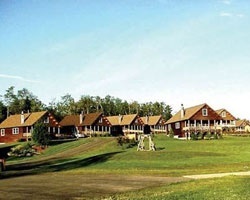 Mountain View Resort offers a unique vacation experience in one of the last "frontier" areas. 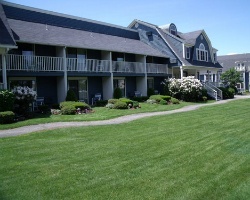 Relax and rejuvenate in the friendly seaside village of Ogunquit. This resort boasts seventy-four luxury suites, all beautifully appointed with separate bedroom and an in-room whirlpool, a living room with fireplace, sleep sofa, and a kitchen area. 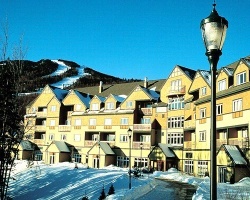 The Jordan Grand Hotel at Sunday River features ski in/ski out, making it the perfect winter vacation spot! Sunday River provides some of the area's best skiing. Hiking, canoeing and golf offer entertainment in warmer weather. A full-service health club, restaurant, whirlpool, sauna and heated outdoor pool are featured at the resort. 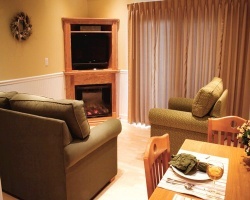 For more information about this picturesque retreat, visit www.sundayriver.com. At *Leisure Life Resort and Campground* there is always plenty to do! Fun and relaxation abounds for the whole family! A cool place to beat the heat on hot summer days, the large swimming pool is a full 24' by 40' with room for everybody. Stay on top of your game while you stay with us.. the resort's golf driving range featuring the tees overlooking a pristine Lake and mountains. Our private Catch and Release Trout Pond is stocked with some of the biggest fish around. Bring your rod and flies and try your luck! It also has a Paddle Boat for your enjoyment! Other amenities include snowmobiling, ATV trails, a volleyball net, basketball court, horseshoe pits, children's swing and slide set ...and, in every season, nature in all its splendor! 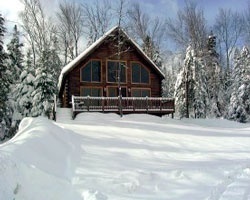 This four-season resort consists of individual log cabins and townhome-style units, set on 15 private acres on a gently sloping knoll, in the heart of the Moosehead Lake region. Outdoor activities include downhill skiing at Squaw Mountain, snowmobiling, dog-sledding, white-water rafting, hiking the Appalachian Trail, climbing Mount Katahdin, hunting, bird-watching, and fishing, plus lake and river boating. 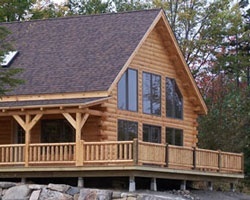 The charming log cabins have front porches and barbecue grills on the back decks. 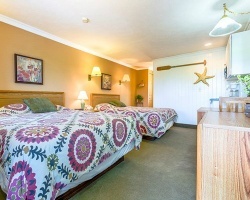 *River View Resort* offers an indoor swimming pool and hot tub, fishing and boating. 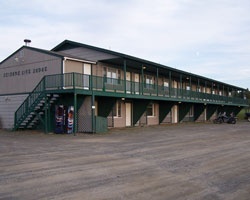 The resort is near restaurants and shops in the Bethel area for your entertainment. Sunday River ski area is nearby as well- as are golf, hiking and horseback riding in the summer months. *Samoset Resort* is an amazing oceanfront resort in beautiful Rockport, Maine! This 230 acre resort and hotel features a championship golf, four-diamond dining, a health club, and indoor and outdoor swimming pools. Samoset Resort is known for its legendary hospitality service and has a reputation as an excellent destination for romantic getaways and family vacations. 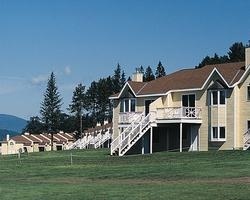 For more information about the Samoset Resort, visit www.samosetresort.com. 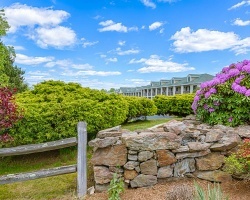 Situated on beautifully landscaped grounds just a short distance from the Rachel Carson Wildlife Reserve and the Atlantic Ocean is *Sea Mist Resort of Maine*. Swim in the resort's heated indoor pool, with an adjacent exterior sun deck, surrounded by a grassy picnic and play area. The Atlantic Ocean and its beaches are within two miles. Nearby are restaurants and numerous outdoor activities. You'll be in the heart of art colonies, antiquing, and discount shopping, midway between Ogunquit and Kennebunkport. If you want a quiet, relaxing vacation - this is the place! 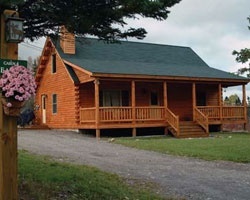 Located in a year-round vacation destination, *Vacationland Estates* is a four-season resort located off I-95 that offers cedar-log units and panoramic views of Mount Katahdin and a golf course. 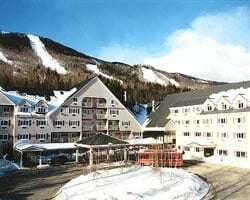 At the resort or nearby, guests may hunt, fish, snowmobile or ride ATVs, ice skate, swim in an indoor pool or outside in a lake, go white-water rafting, canoe, hike Baxter State Park, play golf, visit Hollywood Slots & Casino, shop at the Amish Market, and more. 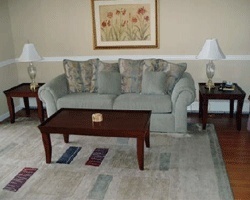 For more information, please visit www.vacationlandestates.com. Walk to the beach from your seaside suite! Summer red season week 31! Motivated Seller. Enjoy stay with Family and friends! Charming resort located in seaside town of Oqunquit. Just steps away from the waterfalls. Buyer may receive a title fee credit, inquire for details! 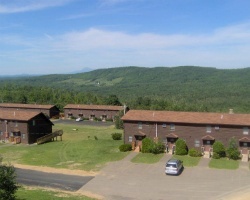 Lovely year round resort in New England! Perfect spring week for enjoying costal Maine! Inquire for more details! Highly motivated seller Great resort for peaceful and relaxing vacations! Buyer may receive a title free credit inquire for details. Come relax in coastal Maine! Week 7 every year! Buyer may receive a title fee credit, inquire for details! Great for outdoor lovers! At the foothills of the White Mountains! Buyer may receive title fee credit, inquire now! Reasonable offers considered! Vacation where you want with 75000 points! Great for exchanges as well. Buyer may receive a title fee credit. 2019 maintenance fees already been paid! 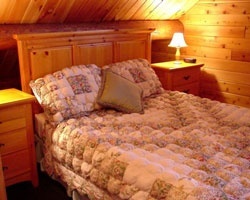 Enjoy lovely accommodations at this cozy resort in Maine! Stay every even year in week 16! Buyer may receive a title fee credit, inquire for details! Experience the beauty of New England in the peak of fall! Odd usage in week 40! Buyer may receive a title fee credit, inquire for details! Peaceful and relaxing resort! Close to the beach, restaurants, spa and more! Buyer may receive a title fee credit, inquire for details! Wonderful 4 season resort! Enjoy many activities anytime of the year! Floating usage! Inquire for details! Enjoy a variety of activities in the area! Week 10 during odd years! Buyer may receive a title fee credit, inquire for details! 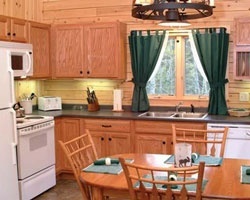 Experience the great outdoors at this cozy cabin style resort! This week offers excellent snowmobiling for winter enthusiasts! Bring your best offer! 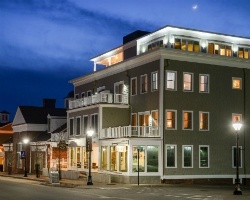 Come to New England and relax on the seacoast! Floating week of your choice! Inquire for details! 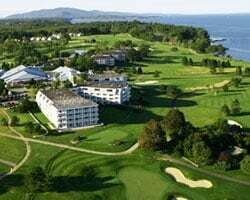 Scenic & fun fractional resort in Maine! 13 weeks every year, the 4th week of each month! Make your offer! Peaceful resort on the beautiful coast of Maine! Summer week 28! Buyer may receive a title fee credit, inquire for details! 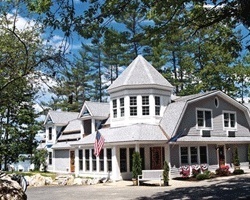 Maintenance fees paid until Dec. 2019 Perfect resort for you vacations to charming Maine! 135,000 annual points! Inquire for more details! Price Recently Reduced! Gorgeous Mountain Resort! Week #49 on Odd Years!! Saturday Check-In! Motivated seller!! Make Offer!